So you’ve bought a new little Xiaomi toy but the firmware is not up to your needs? You’ve come to the right place, here you can get a firmware that will squeeze the real power out of it. This Firmware has been compiled by me with Prometheus, a tool released by Freize.net, and is based on the Padavan & N56U project. All credits go to their respective team and their wonderful job. AiDisk (share your files over the internet), etc. I DO NOT OFFER ANY SUPPORT, I’m just sharing binaries compiled by me! Warning/Disclaimer: there is a risk of damaging your device internal configuration if something goes wrong during the process. Proceed with absolute care if you don’t know what you’re doing. I deny any responsibility for any kind of damage caused to your router or to you. There are various ways to gain access to the console ( https://wiki.openwrt.org/toh/xiaomi/mini ), this is the easiest. you will see a list of blocks with a block index (e.g. mtd1) and the block’s name (e.g. Bootloader). Adjust the command above replacing the highlighted parts with their respective block index and name. 13. it should show rebooting when the installation is complete. 11. you might need to boot into Breed for the second time to reset the default settings for the Padavan firmware. To reset the settings, click the 5th button on the menu, then select Config (it should look like this https://i.imgur.com/oFjNtBm.png) and click the submit button to reset the settings. Can you please buildup 1 Firmware for Xiaomi router gen 3 (AC) ? There’re a lot my friends use this router model. You’re right, I just saw it in the device tree. Although I can compile for it but I can’t test it! Great work! Thank you! If you could compile one for the gen 3 router it would be awesome. I can compile it but I can’t test it. If you are ok with it I can send you the compiled firmware for gen3 in private for you to test it. Yes, please send it to me in private and I will test it. Thank you! Did anybody try it on the MI-3? This firmware is NOT built for MI-3! after I followed your instruction, there appears to be two ssid ASUS and ASUS_5G but needs password, could you tell me the password, or how to reset it, pls! I’m sorry, I don’t know how to change SMB configuration from the web interface..
Hi, the MI-MINI_3.4.3.9-099 firmware shows asus icon and not the miwifi router icon as depicted. – is this expected? the firmware is superb. many thanks. the guide is fine, although there is a slight error in step 6. Thanks for your feedback, I will adjust the guide and make it more clear. Thanks a lot i have this installed on my router. Btw is there any update to this firmware? Hello, this firmware have the option “auto channel ” on wifi repeater mode ? Thanks. how much free memory do you have when running this? I have about 12MB – i see from the screenshot that you have 81MB free – is this correct? It depends on the applications you are running on the router, for example Transmission or Aria use a lot of ram while downloading. Thanks for share your work. thanks for the update. Do you have a changelog? I report an issues with transmission. i have a error when i try download a torrent. I can’t any change in settings.json using winscp. You can find the change log on the code repository https://bitbucket.org/padavan/rt-n56u/commits/all up to the commit version in my build. Transmission has always been pretty buggy, I suspect it needs more ram/cpu than our Xiaomi Mini has. Yes, that is the advantage of Padavan! On Xiaomi you can only AP Wireless with 2.4ghz… On Padavan you can choose por 2.4 or 5ghz! Hi, how I revert to xiaomi firmware original? I never tried to go back to stock, so I can’t help you. But I assume you can just flash the stock firmware from the router configuration page (clicking on “firmware” link, top right of the page). Btw how can we change the Asus Ã­cone and replace it for Mi logo? I don’t think you can brick it so easily, if you flashed breed bootloader then you can just boot in breed safe mode and reflash padavan. As for the Mi logo I’m building a new firmware that has it (on the september build it got deleted I guess). When you make it available, how is the proceadure to upgrade and keep my options? You can just flash the new Padavan fw over the old, the previous settings will be retained. Where we can download the file that you have mention as last build 1 October? From the link “Download here”, it has the same filename. Changelog is usually not clear and doesn’t necessarily fix Xiaomi Router Mini related issues (just other devices’ bugs) because the firmware is already stable enough for the mini. If smb managed to configure two devices with Padavan firmware as main wifi point and WDS repeater? 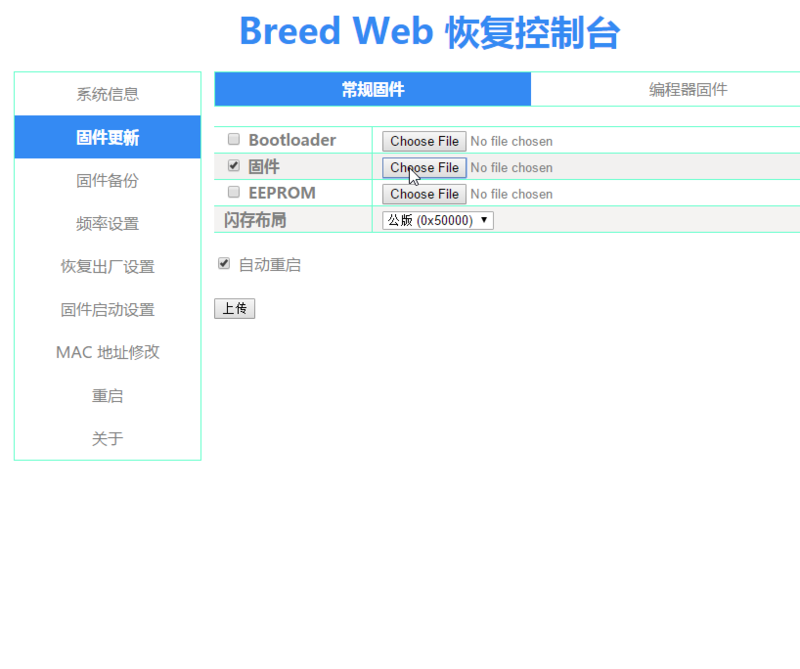 Those instructions are for the default bootloader; the instructions for the Breed bootloader are at the top of this page. But instead that breed, replace that file on usb from the developer bin from Xiaomi? Can I have a link for the compiled firmware for the router 3 please? 1: Do I use the breed bootloader from your instructions or do I need another version? 2: Does this Padavan firemware add VLAN capabilities? I have no idea how to flash Mi Router 3 sorry… I just have the router Mini. I have tested the firmware on my Mi-3 router, this is only to update my existing firmware to the latest version aef4269. The firmware is working fine like the Xiaomi Mini pavadan. Just to clarify further, I did not flash the firmware direct to my Mi-3. prior to it, I have using Prometheus scripts to flash my Mi-3 to pavadan and I just update to your firmware to test if it is okay. 1) There is no bleed bootloader for Mi-3, currently only available for Xiaomi Mini which no one test it on Mi-3 yet. 2) With Prometheus scripts, it will flash the Pavadan firmware into multiple partitions and what is believe here, there maybe some partitioning task performed in order to put the new firmware. Thanks again for your firmware. Appreciated for your hard works. Last build is from the link download now. That website has only the source code! the only way to flash Mi Router 3 tru prometheus tools, since there’s no unlocked bootloader except using prometheus tools backdoor. Are there any english instructions for this? I can only only find russian. This will be my first time flashing a router. However, I would like to customise in order to reboot every week or once every 15 days. How can I do this? Can you help me? will reboot every day 1 and 15 at 01:00. Any advise? is it possible to do it with padavan? In padavan, each time I change the theme settings and logo the changes only appears in the browsers and pc that the changes were made. When I try opening in different browsers or pc / notebook the theme went back to default is it normal? also trying to log out, close the browser tab and opening the admin page in new tab shows that I’m still logged in, is this also normal behaviour on padavan firmware? thanks. can you tell how to get breed on my router with my current situation? the only way, you should revert back to xiaomi mi mini factory firmware (check how to flash original xiaomi mini firmware). Excellent guide. Thank you. However, in part 3, step 3 I’m only on flashing Blue light – don’t get orange/yellow. Have been holding the pin in for a while. Any other thoughts? I’ve followed Parts 1 & 2 and all looks good. In Part 3, Step 3, I’m not seeing the flashing orange/yellow. It’s just flashing blue when I start it with the pin inserted and kept pushed in. Any ideas? if I let the router boot I see the Xiamo screen but everything is a 512 Bad Gateway after that. Am I hosed? That worked perfectly. I used a cable over LAN (on my Mac) and was able to get in and have it configured for a AP bridge mode over the 5GHz channel so my 5G signal from downstairs is now available upstairs! All great and thanks a ton again. Do you have a guide for the Xiaomi Nano? Xiaomi Nano is pretty similar though I don’t remember what the Bootloader partition is called. Our admin may be willing to build and post a newer version of Padavan. did flash my miwifi3 with Prometheus tool. As I bought my router few weeks ago, there were no more ssh access easily available so I had to downgrade to the version miwifi_r3_all_55ac7_2.11.20.bin (dev version) found on the 4pda forum (all in russian), through the official webUI of the router. Then following the Prometheus.freize.net website I just run VirtualBox with their custom image. Set the SSH access (option 0) then went to firmware (4), created one (3) then flash (4). The option 0 for SSH basically does some trick like you describe here but for me, it did set up a random ssh password that didn’t work. I had to tell prometheus that the password was the webui one even for ssh (did try with my iterm on the side before). It took me some time to go through (especially with the translation from the forums) so I post here in case someone needs info. You are a hero, by any chance to you have the breakdown of this activities as am really lost with the translations. thanks for build its realy fast ! but i canot use it as smb share – why ? but i do not see any init.d foder here ? how is it possible ? Can you add more than one Vpn client? Can you add red / orange LED to indentity no internet connection? How to add new software/packet like openwrt? For those who lazy to build their own firmware. Links below is only for those already running Padavan and interested to update to latest commits. I have disable Firefly iTunes as I don’t need it. USE IT AT YOUR OWN RISKS. Whoaa.. I thank you very much for this. Very stable with (new?) theme/interface, love it! Hi I would like to see this firmware have QOS any reason why it is not implemented? When should we expect to see it come out for this firmware? My MI3 has no usb? still possible to install? just so ppl know mini on firmware 3.4.3.9-099_aef4269 ‘Blocked Client List’ not working, after pressing the X button to block clients, clients are added to blocked list but it does nothing. how to setup the DDNS for FTP? 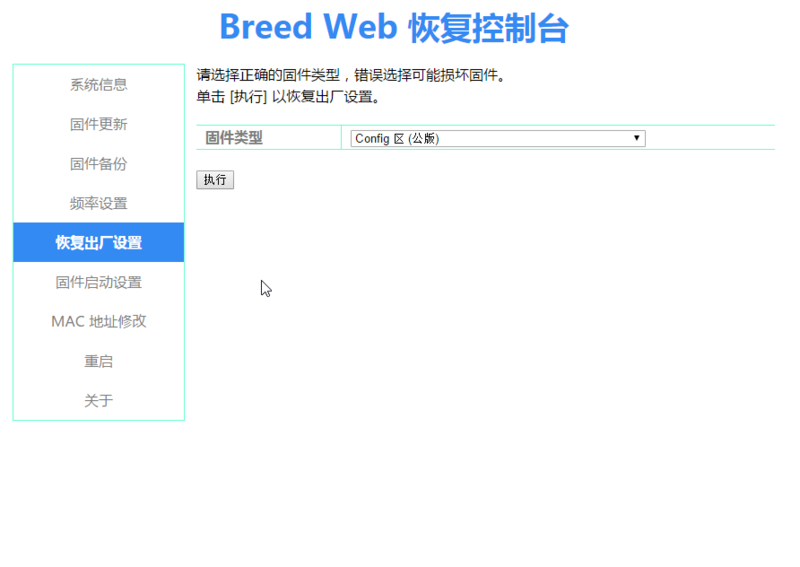 xiaomi miwifi 3 bricked after flashing breed boot loader how to revive router with serial cable ??? Hi, i succeeded till the end stage, but once i get into Breed Menu, sometimes it displays main menu sometimes and sometimes not. When i click on 2nd option to flash the Padavan, it circles and circles infinitely and finally it gives up. i dont know what i am doing wrong. till the final step i had no error in flashing files. Thanks for your great tutorial! I am thrilled with the results on my Mini. Best wishes from Australia. genial !! gracias por el tutorial. pierde potencia la señal wifi en comparacion al firmware de origen? Please, I need to revert to Xiaomi firmware, can anyone help? Can we use aicloud feature on this firmware? Please, I need help in order to revert from this firmware to the original Xiaomi… I have tried several several times and nothing. Beside this firmware is brilliant, I think you could support the people that needs for any reason go back to the original.. The only reason I do not offer support is that I don’t know how to revert to the original firmware and I don’t have time to do research. Besides I currently do not own the router any more. is it possible to add ffmpeg function to this firmware? What site do you use to download (last) official versions ? How did you guys customise it for Xiaomi? I tried to build one for Xiaomi Nano but it is referred to as “Asus” and the logo is Asus as well. Did you just replace the image file before building and may be change the strings in the source code? Where download the last padavan firmware ? https://routerclub.ru/upload/padavan/nightly/20160630/xrm_base/ ??? i want to install this but i am in openwrt now. what should i do? im in openwrt now. i want to install padavan. what should i do? Anything else I can recover it? Hello , it appears i’m stuck after giving the command to start telnet on the mi mini router, i have used the correct “Stok” and have flash the router to to a dev version before starting the process. i keep gettin the error about telnet connection being refused on port 23. i have tried quite a few things but just cant get past this telnet opening menace.. any help would be greatly appreciated. Any chance that you can compile Padawan firmware for the Xiaomi Mi Router 3G?